In a fervent appeal to the prime minister, a senior member of the Bar and a BJP spokesperson reportedly requested him to take immediate steps to raise the retirement age of judges at all levels to 70 years in order to address the mounting problem of arrears and the delay in filling up vacancies in time. It is not for the first time that this issue was raised within the government and outside. Each time it has been raised, there has been wide support for the move, though it was more in relation to High Court and Supreme Court justices rather than judges of the subordinate courts. Unfortunately, the issue got linked to several other reforms including judicial appointments, judicial performance standards and assessment, judicial accountability and judicial independence, with the result that nothing much could happen even on this relatively non-controversial matter of raising the retirement age. In today’s circumstances, prolonging the decision on raising the age of retirement of judges is not in public interest. Perhaps, through a judicial order, judges could have asked the government to consider it; but that will not be in good taste. Parliament, which at frequent intervals considers the improvement of facilities for its members, seems indifferent when it comes to reforms in the judiciary. The salary of judges, however, was increased recently after a long interval. The infrastructure in courts, vacancies in the judiciary and setting up of an All India Judicial Service did not get the attention they deserve either from state governments or the central government. “Ease of doing business” is critically dependent upon the ease of settling disputes and the fairness of the process involved. Similarly, difficulties in access to justice for millions still outside the system can ease only if the number of courts is increased proportionate to the increase in population and consequent increase in filings in the court system. What is the logic for seeking an increase in the retirement age? The reasons are many and varied, of which pendency is just one and not necessarily the predominant one. Non-availability of professionally competent hands in adequate numbers even to fill the existing vacancies is one of the principal reasons for the demand. When High Courts conduct examinations for selection of judges to the subordinate judiciary, including for posts of district judges, hundreds appear, but very few qualify. 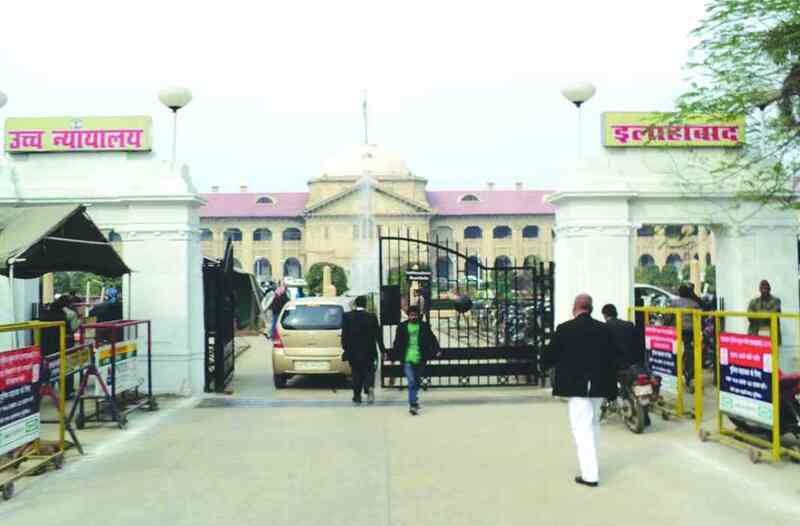 Year after year, the experience of several High Courts had been dismal in the sense that not even half of the vacancies could be filled up because of lack of suitable candidates. The status of reserved seats in the judiciary is even worse. Given the income level of successful practitioners (advocates), many of them would not care to take up offers for positions in the judiciary. Compromising merit to fill up vacancies is inviting trouble in later stages, bringing a bad name to the judiciary and dissatisfaction to the litigant public. Hence, there is a need to retain competent and experienced judges to serve the system as long as they are fit and willing. This is the reason for several countries to adopt the system of appointment for life. Another compelling reason to raise the age of retirement is the longevity that the nation has achieved and the corresponding benefits that India can derive from the expertise of those whose numbers are few, particularly among the professionals. Lawyers practise even when they are 80-plus and their services are in great demand. Retired judges are sought after by both governments and the private sector. Is it not foolish to retire them early when their services are most needed in the judiciary and let the practice of engaging them in inconsequential jobs be allowed to continue? A uniform age of retirement of judges at all levels will curb the tendency among them to manoeuvre their promotion in order to get extended service even when there is hardly any difference in pay and allowances in the higher post. It will add dignity to the profession they belong to and promote fraternity among judges. Revision of age, however, is not a simple and innocuous exercise if the main intention is to increase efficiency in the system. Admittedly, there is a lot of dead wood in the judiciary and it will be an unjustified burden on litigants and the public exchequer if incompetence and inefficiency are allowed to be carried on for longer periods. In other words, extension of the retirement age of judges should be conditional upon efficiency in handling judicial work at the appropriate levels. There are mechanisms built in the administration of subordinate judiciary wherein High Courts through an elaborate process weed out incompetent judges through voluntary/ compulsory retirement. The process is repeated at intervals of five or six years after a certain period of service and that too after detailed evidence-based assessment of performance. Aggrieved judges coming under the process have remedies available to them if they choose to challenge the decision. It is difficult to believe that the dead wood phenomenon is non-existent in higher judiciary. Otherwise, how could there be High Court judges who serve on the bench for three or more years without writing even the minimum number of judgments expected of them. Of course, they have the luxury of sitting with brother judges during the hearing and execute their so-called responsibility by simply writing “I agree”. This is not to be. Pendency and arrears are directly related to competence and commitment. If promotee judges have difficulty in dealing with certain jurisdictions they are not familiar with, judiciary ought to have policies in trying them out in the appellate division or on specialised jurisdictions. It is sad to find that in an age of specialisation, the Indian judiciary has failed to adopt it in its own personnel policy which tends to undermine efficiency in the system. The recent introduction of Commercial Courts at the district level and commercial divisions in High Courts is a welcome development. One has to wait and see how the judiciary will implement it given the existing promotion and transfer policies. The challenge, therefore, is how without an efficient performance assessment system and without compromising the independence of judges, raising the age of retirement in the higher judiciary will play out in the matter of increasing efficiency and productivity. Well, difficulties in implementation should not be advanced to block an otherwise desirable reform which has long been pending. All over the democratic world, judges in higher judiciary are ap­pointed either for life or till they attain 70 or 80 years of age with the option to retire earlier on personal grounds. An experienced and efficient judge is a national asset which the nation would not like to lose just because he or she has crossed a certain age limit, often arbitrarily fixed. Let us hope that the government will accept the recommendation and increase the retirement age of judges in consultation with states and the judiciary in the near future.